I was recently speaking with a very prominent psychiatrist about the history and science of various mental illnesses, and he told something along the lines of “what historians can do to help is to explain how diseases came to be defined as they are; that way we can have a better idea of what we are dealing with.” I looked at him for a moment, and thought to myself: “Fine, but what can you do to help me?” Of course I didn’t say that. The question of what he could do to help historians better understand the past had clearly never crossed his mind. So I just nodded and smiled and muttered something that he didn’t find particularly interesting. We soon moved on to talking about the beer selection. I mention this anecdote to bring up what I consider one of the central problems facing historians and other scholars in the humanities interested in doing interdisciplinary work: our relatively lowly status in the institutional and epistemological academic food chain. I’ve very much enjoyed reading both Michelle McClellan‘s and Trysh Travis’s posts about the general lack of interest among feminist scholars toward addiction studies, but my initial response to both posts was: “hey, disinterest may not be so bad. At least they aren’t insulting you.” I’ve spent a bit of time here and there working with people from the so-called “hard” sciences, and I’ve found it surprisingly easy to walk away from those conversations feeling a bit put off. I don’t think the scientists involved in these conversations have been intentionally trying to insult me, but they sure have done a good job at it nonetheless – and I’m not particularly sensitive to such things. Here, then, is an issue that I think those of us working in the humanities need to confront: the assumed subordinate position of our disciplines to the sciences in the hierarchy of academic knowledge production. Part of the issue is, I think, that when you really get down to it, most biologists, neuroscientists, pharmacologists, and others in the hard sciences often find the study of the past quite interesting – indeed, I think they sometimes feel compelled to engage with the past – but they do so in a way that both trivializes what historians do and separates it out from their own work in any meaningful sense. I was particularly struck by the part of Professor McClellan’s recent post where she describes presenting her paper first and “setting the stage” for the other papers with her historical analysis. This is, of course, often the role that historians adopt – or are given – and while Professor McClellan stated that doing so privileged her own disciplinary perspective I’m not sure that is what usually happens. Almost invariably, it seems to me, historians are reduced to providing the neat little extra bit of something, the “framework” or “context” that “raises interesting questions” but, in the end, really acts as little more than an entertaining diversion before the more serious parts of the conversation begin. that measuring changes in blood flow in the brain doesn’t actually tell us that much about how, or why, people act as they do– then all hell breaks loose. I’ve actually see this happen, and it isn’t pretty. So, scientists often feel free to make historical claims – and in fact they often feel somewhat compelled to – but, at least in my experience, they really don’t like it when historians try to make scientific ones. Historians, for our part, generally don’t feel comfortable making scientific claims at all, and when we do we generally do so with a lot of apologies – disqualifiers of the “now, I’m not a neuroscientist…” type. But when was the last time you head a scientist apologize for not being a historian? When was the last time you saw a scientist exhibit any awareness at all that the historical claims they were making were, at best, simplistic? And why is it that when historians do hear scientists making claims about the past that make our stomachs churn our response is generally to sit meekly in our designated space and smile politely? I’m generalizing horribly here, of course, but it does seem to me that this is the basic dynamic at work when historians and scientists in the so-called “hard” sciences try to work together. Scholars in the humanities end up adopting a supine position, both epistemologically and professionally. And then, at the bar, we complain about it to each other and get another drink. Now, I’m too young to be bitter about such things. Indeed, there’s no reason to be bitter, since, there’s always other people to talk to. But I do think that if we are actually interested in pursuing interdisciplinary projects we need to talk about this. As historians – and literary theorists, and other scholars engaged in the humanities – I think we need to be honest about the fact that in the current hierarchy of knowledge we are somewhere close to the bottom. Harrumph. You are generalizing, and in a way that no good historian would do if she were talking about the past. And if someone who studied the anthropology of disciplinary practice were to read this post, they would squirm around a bit about how how your ethnographic claims were, at best, simplistic. Not to mention the junk you say about epistemology, which would irritate any good philosopher since, basically, St. Thomas but certainly since Wittgenstein. Are those fair standards for this post? Not at all. My point is that interdisciplinary discourse (in contrast to what often passes for interdiscipline, serial disciplinarity, in which everyone takes their turn producing mutually incomprehensible monologues) absolutely requires a certain suspension of the refinements of expert knowledge in favor of rough-and-ready approximations. And this has to happen in a general academic environment in which the doxic boundary work of disciplinarity is fundamentally constitutive. As for why history in particular gets doghoused, it’s at least in part because we’re by definition a retrograde discipline in relation to scientific progress. We’re interested in the science-that-was, not the science-that-is or will be, which makes us literally curiosities. In terms of the larger question though, in my experience it’s not just scientists who feel comfortable blathering on about their grossly swollen historoids. The History Buff is a ubiquitous nuisance cultivar, propagated and fertilized by the very general education curricula that give most professional historians our actual living. Unlike the scientists we do not use our intro classes to ruthlessly weed them out, and so intentionally or unintentionally they are encouraged in their belief that they know a little something about history, even as they are undergoing much more rigorous disciplinary pruning in the major portion of their curriculum. Hi Carl – nice to hear from you. Well, sort of – did I catch you on a particularly grumpy day or something? Of course my claims here are horribly generalized, and of course my comments about epistemology are junk – what did you expect from a historian making vaguely ethnographic and philosophical claims in twenty minutes on a blog? For Christ’s sake, if I was writing for an ethnographic or philosophical journal I’d be more careful. Or, actually, I wouldn’t – since I wouldn’t actually write for such journals in the first place. You may claim to know something about this sort of stuff, but I actually don’t. I guess being obnoxious isn’t the sole province of scientists after all. 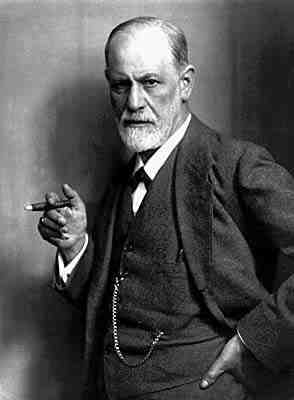 By the way, what is it about my claims that that you think would irritate philosophers? – you were sort of vague on that. Is it the idea that knowledge claims get ranked into epistemological heirarchies? Because to me it seems important that scientists get rewarded for including historical claims in their work, but historians don’t get rewarded for including scientific ones. But, then again, I’m sort of dense so that’s probably not it. Hey Joe, I’m not a philosopher either (although I play a historian of philosophy at my day job, which counts for Rorty but no one else) so I can’t help you much. Shall we just say that how truth claims get grounded is an oldish question subject to much controversy? So I’m in agreement that to get any work done in a conversation like this we’re going to have to suspend the paratext somewhat. And yet suspending the paratext immediately vulnerabilificates one to obnoxious insults of oversimplification, overgeneralization, or just plain ignence. Which means that the conventions and boundaries of interdisciplinarity require a whole separate negotiation from those embedded in disciplinary training; usually case-by-case, among people whose whole professional identity and ethos is wrapped up in their discipline, often not very self-reflectively. Sheesh. Retreating from the meta to the current dataset, I’m not convinced scientists get rewarded any differently for dabbling in other disciplines than historians do. That is, it probably seems pretty cool to your own posse and pretty lame to the other guys. But I do think you’re right that scientists in general enjoy a special kind of free pass to say stupid crap outside their fields and have it politely ignored like spinach in yer teeth; which has to do with all sorts of things but mostly that sciences buy a sort of illegitimate generalized legitimacy by enforcing rigor and delivering tangible and actionable ‘results’ in some notably different ways than the humanistic disciplines (and the sciences that don’t struggle just like we do). Well, in defense of the claim that scientists get rewarded for dabbling in history, here’s a quote from a blind review for an article on opiate addiction that is going to appear in a scientific journal. The author (a scientist) then consulted with me to flesh out his introduction, which summarized the history of addiction research in the nineteenth and twentieth centuries in a fairly short paragraph. I get this and related sorts of thing fairly regularly – requests to review historical papers written by physicians that will appear in medical journals, for example. I’ve yet to have any reviewers suggest that I should dip into the neuroscience literature to ground my own work. So yeah, scientists get something out of dabbling that historians don’t. Not sure what it is, though. OK, so, just to be clear, your research field is history of science, your job description is history of science, this describes most of the people associated with ADHS, all of your colleagues in the History Department get to enjoy the cachet of having a historian of science on hand, and yet historians don’t get rewarded for attending to science? ;-p … I’ll grant that Pavlov’s bell got institutionalized in different ways, but that’s about it. I also think it’s a bit disingenuous for historians who are insulated from the scientific state-of-the-art by their (quite proper) focus on one or another moment of scientific antiquity to then say that scientists who are fully involved in the sota should also be producing fully qualified accounts of the history of the art. But again, this is just the sort of boundary kerfuffle that happens when the disciplinary division of labor is put under interdisciplinary pressure. As for the business-as-usual of humanistic appropriations of the ‘hard’ sciences, I just read an exchange between a pair of fairly illustrious sociologists trying to leverage a paper-thin understanding of current neurocog research on mirror neurons to support their contrasting accounts of whether culture is a thing that can be transmitted between persons or not. As far as I could tell both of them had basically newtonian notions of scientific causation and no sense whatsoever of non-linearity or emergence. But they were certainly being professionally rewarded, in print and repute, for a discussion that was ‘about’ science in some sense. Well, I find it sort of disingenuous for you to be claiming that I suggested that scientists be expected to produce “fully qualified accounts of the history of their art,” when all I was trying to suggest was that they are more free to make claims outside of their domain without getting reproached for it than we are – which you already conceded. I also find it sort of disingenuous for you to suggest that historical claims about a scientific topic are equivalent to scientific claims about a historical topic – not to mention for you to bash me over the head with the entire supposed weight of the philosophical tradition since Wittgenstein but then not make an effort to explain why you were bashing my head. So that’s three for me and one for you, but who’s counting? I’m going to go enact my argument that “there’s always someone else to talk to” now. C’mon Joe, I bashed you over the head with the entire supposed weight of the philosophical tradition since St. Thomas. There’s only so much irony a fella can load into preposterous normative claims before the loathsome smileys start to adorn every punctuation mark. But anyhoo, other conversations, yes. Thanks for a lovely one here. I wonder if it might be possible to turn the narrative of subordination around, and see the fact that scientists feel a need to consult historians and append a historical figleaf to their junk, but historians feel no such need to do the same with science, as an index of our own relative discursive hegemony? Isn’t this about us successfully intruding our questions into theirs, to at least that limited degree? Maybe I’ve been out of the game too long, but I think Carl is missing the point. Joseph, as I see it, you’re basically asking why scientists are allowed generous leeway with the history of their topic of choice and rewarded for so much as nodding in history’s direction, while historians – and I would say historians of science in particular – are compelled to scrutinize their analyses, assumptions, and claims to death and not rewarded for it or acknowledged as important or legitimate at all (to put it in extreme terms). I really do not quite get what Carl is talking about – no bashing intended; we’re not a bashing kind of blog – and wouldn’t be able to explain why I think he’s bashing you over the head without, well, bashing. To depart from the example of the conference panel and go with you to the bar, this post reminds me of conversations I had over and over with several friends – including a history grad student who is working on a PhD and considers himself a “history of ideas” man and a political science major with a deep love for Foucault – all through the five years during which I was an English undergraduate and women’s studies graduate student in Gainesville, FL. It always sort of shocked me that these supposedly ultra-postmodern hipsters would insist that one’s intelligence or personality or capacity for addiction was determined, yeah, partly by context and all that stuff, but some percentage (usually 60% or 40% – clearly a number pulled out of nowhere) just had to be controlled by genetics. Science. Science always trumped anything we humanities students could grasp or would be interested in studying. “Yeah, socioeconomic factors totally play a role in addiction, these well-meaning people, generally intelligent people would say; but some people just have that gene, you know?” Like a good humanities person, I feel compelled to admit that I am not a scientist. Perhaps there are genes that make people more prone to addiction. I don’t know. But it makes just as much sense to me that my parents and I all have histories with smoking cigarettes because we have similar personality traits, patterns, and lifestyles as it does that we are or were addicted to cigarettes because we share certain biological building blocks. All of that makes me wonder if we have some kind of inferiority complex about actually identifying real answers to real problems, but people who do humanities are usually very aware of their research areas’ specificity, and if the guys with whom I was having those conversations are any indication, it can’t be a fear of hubris! Generally, I’d say it’s the weight the hard sciences are given economically and culturally in the real world. That’s a pretty simplistic itself, though and leaves the question of why humanities scholars allow it to go unchallenged.